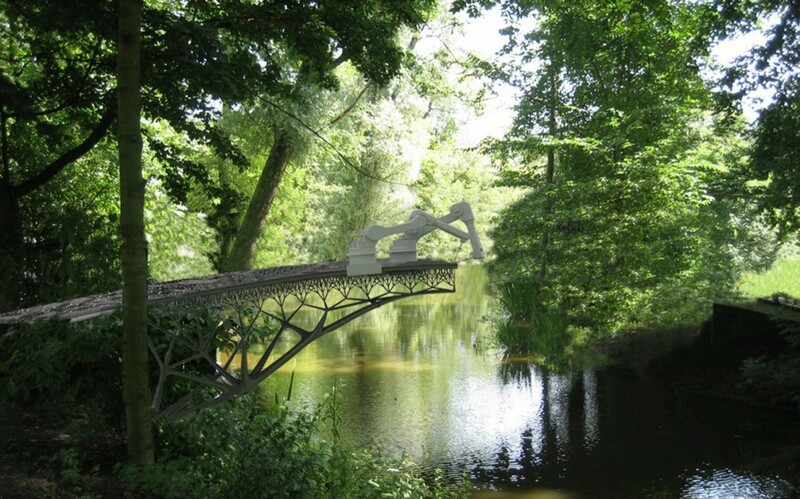 Robots come to finalize the structure of the world's first 3D-printed metal bridge in Amsterdam. 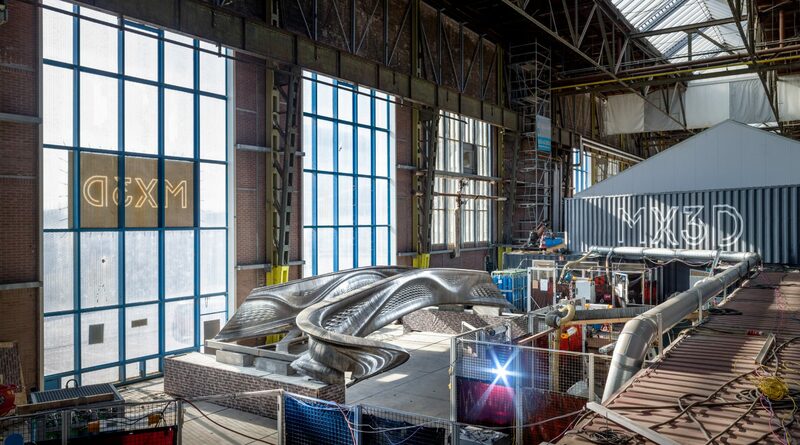 Designed by Dutch designer Joris Laarman's lab and devised by his Amsterdam-based robotic manufacturing technology startup MX3D. 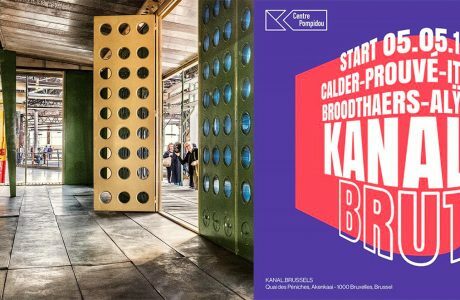 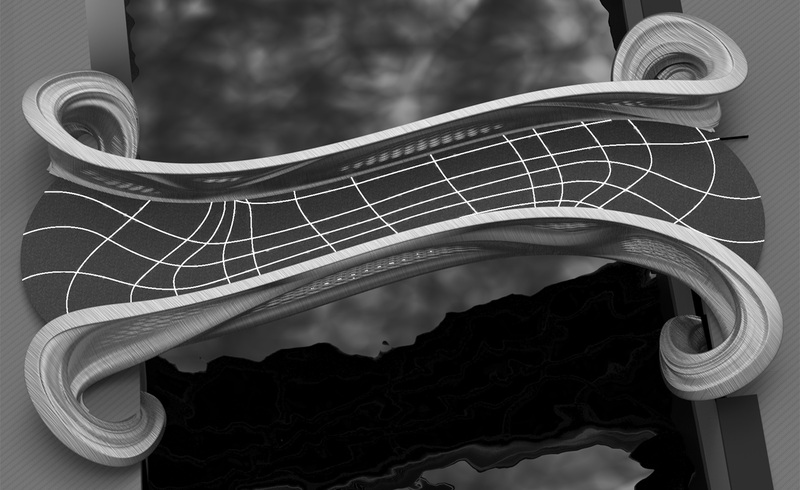 The stainless steel pedestrian bridge is meant as a metaphor that combines the technology of the future with the old city and crafts - bringing out the best of both worlds, and somewhat paradoxically, allowing to build more organic. 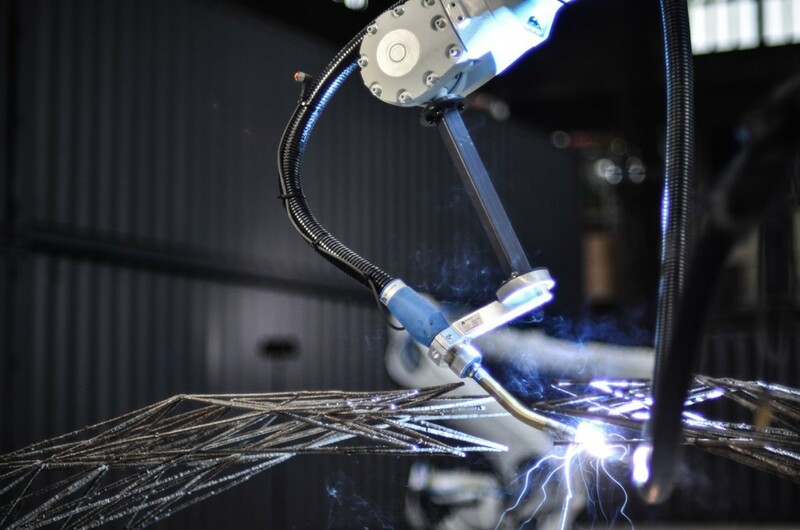 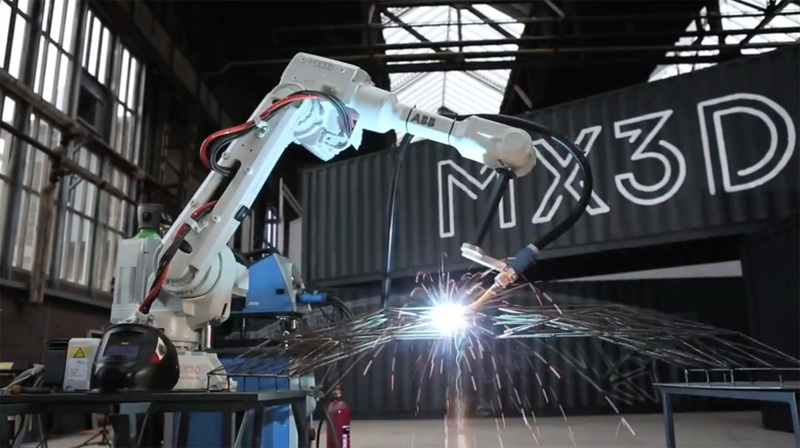 Using specially designed MX3D software, it took six multi-axis industrial robots six months to 'draw' the full span of the bridge from layers of molten steel, inside a former shipbuilding hangar in Amsterdam's NDSM shipyard. 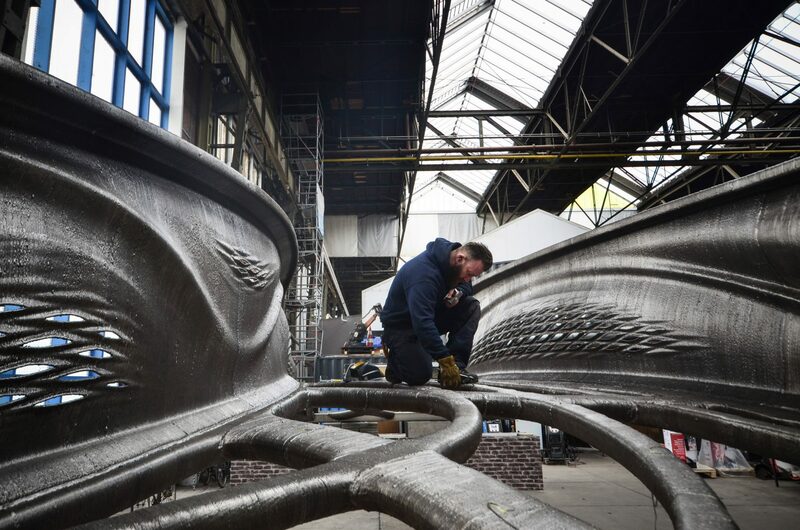 Measuring 12.5 meters in length and 6.3m in width, the bridge currently weighs 4,500 kg and uses over 1100km of wire, and is set to be installed on the Oudezijds Achterburgwal, one of the city centre's oldest and most famous canals of Amsterdam, situated in its red light district. 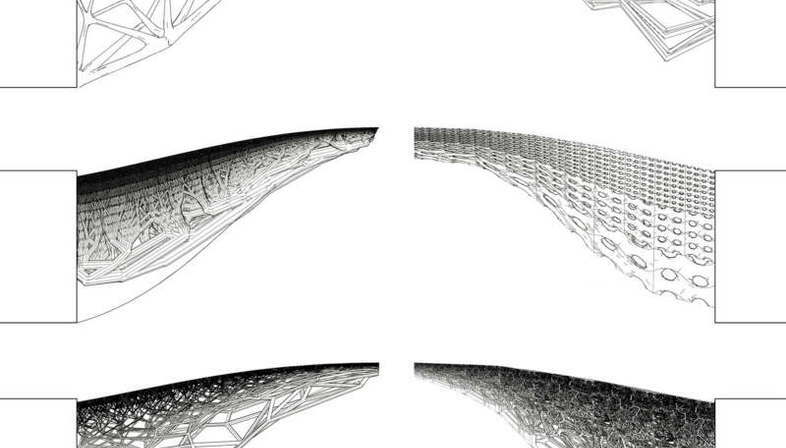 Earlier plans to spectacularly print the bridge in situ had to be abandoned as it was "just too dangerous". 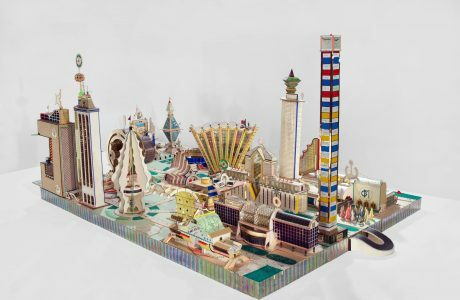 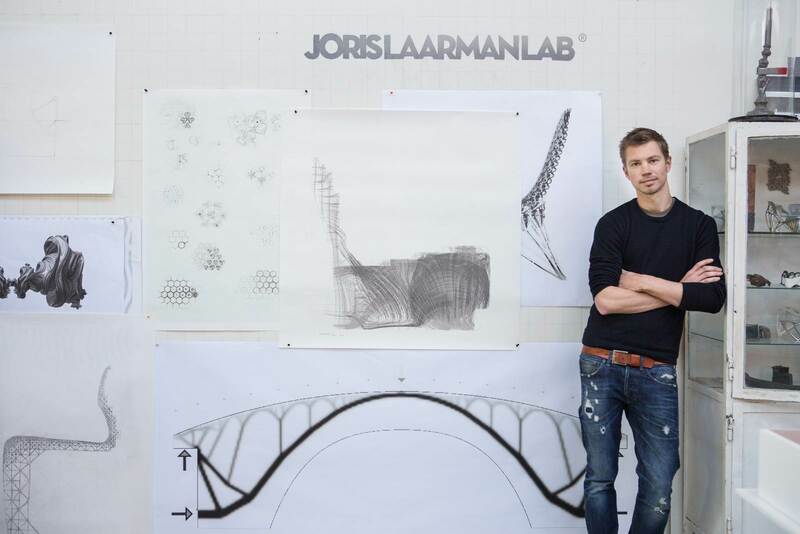 Laarman (38) graduated from Design Academy Eindhoven in 2003: One year later he launched the Joris Laarman Lab with his partner Anita Star. 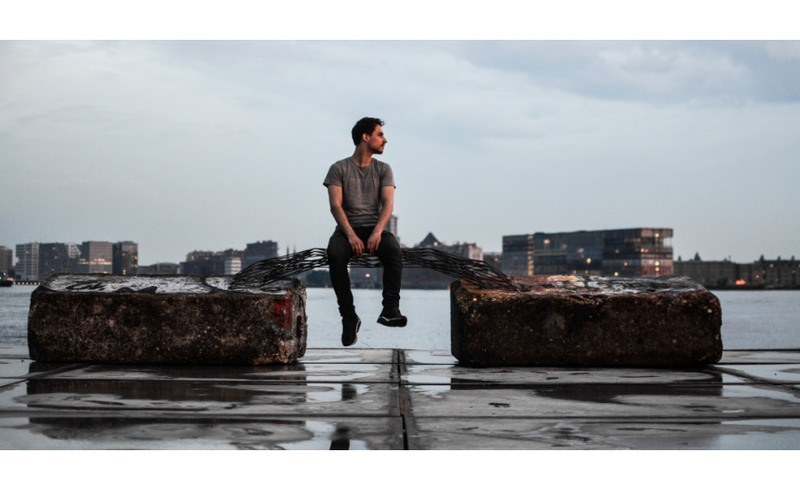 His name rose immediately to international fame with the Heatwave, a decorative radiator that can also spread the heat better because of its floral structure. 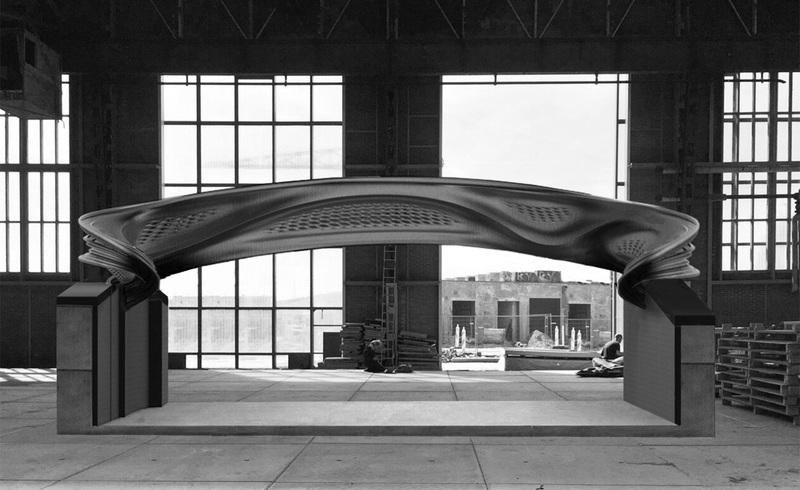 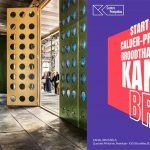 The bridge project builds on earlier research by the designer on how to print similar freeform structures in first plastic and later steel, and led to the founding of MX3D a new research and development company, with Tim Geurtjens. 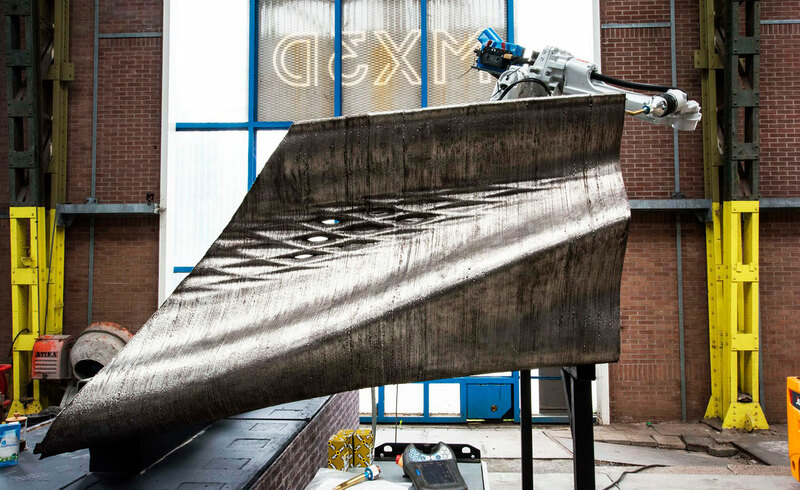 While the project as originally planned to be finished by 2017, MX3D now aims to have finished the printing, placing the deck and coating the bridge by October 2018 – in time for Dutch Design Week. 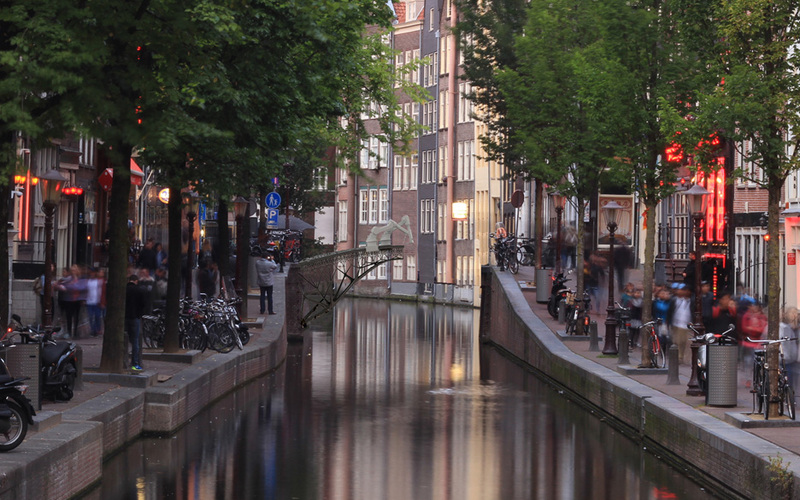 The bridge is scheduled to be installed in 2019, once the renovation of the canal is complete. 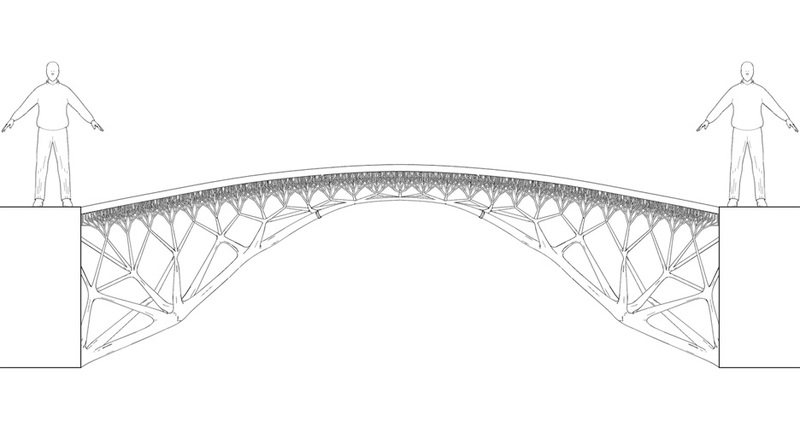 But before being installed, the bridge will also be tested on its structural integrity. 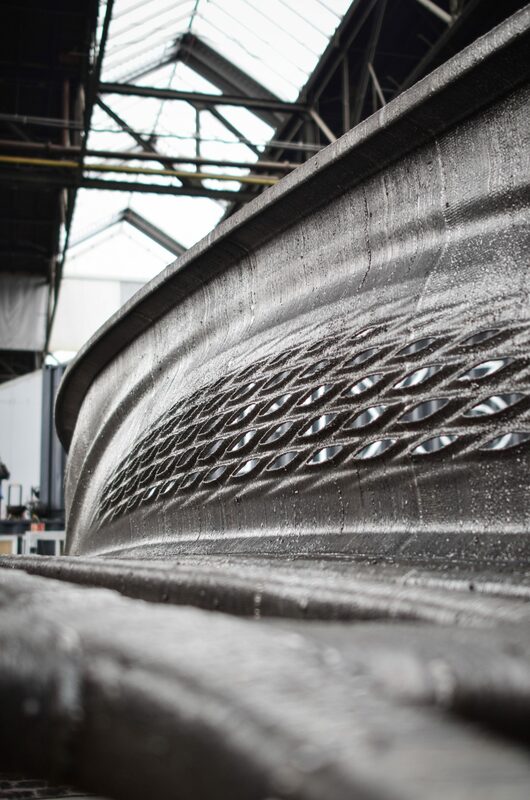 Together with architecture studio CLS Architetti and researchers from London Imperial College, engineering firm ArupArup, which presented Europe's first 3D-printed one-bedroom house at this year's Milan Design Week, will perform several full load tests in a next phase of the development, while mathematicians from The Alan Turing Institute and engineers work with MX3D to deploy a smart sensor network on the bridge, monitoring its performance during the load tests - information that could also be very useful for future 3D-printed metal bridge designs.